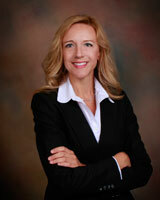 I am attorney Jennifer Neilson and I serve clients nationwide with matters throughout Florida. I meet clients by appointment in Lee, Collier, Manatee, Charlotte and Sarasota Counties. I assist my clients in matters of probate and estate administration, as well as estate planning, elder law and real estate. A large number of my clients reside outside the State of Florida and rely on me to efficiently administer the estates of their loved ones through probate and trust procedures. I attend to every detail of the estate including petitioning the court for homestead protection and facilitating transfer or sale of Florida real estate. As a lawyer, I understand and respect the difficulty of every client’s situation. I work with my clients to guide them through the legal process and settle their matters with ease. Trust matters to me as much as it does to my clients. I offer quality legal representation while communicating directly and clearly with my clients, treating them with professionalism and respect. I work personally with all of my clients. Initial conferences can be scheduled in my office, at a client’s home or by phone if the next of kin or personal representatives are not local. I am also willing to meet with clients evenings and weekends by appointment. During this conference, I educate clients on their respective legal matters and give them the right road map to prepare them for future meetings and situations. I have been practicing law for over a decade and understand the emotional issues that arise in probate cases as well as the estate planning and elder care planning process. Family is a priority in my life and my law practice. After practicing law in Illinois for ten years, I moved to Florida to spend time with my family and help care for my elderly grandmother. My legal fees are clearly stated and approved by the client in advance of representation. If for some reason I am not able to assist a client, I make every effort to find another legal professional who can. Feel free to call me to discuss your legal matter and we will determine your best approach moving forward.